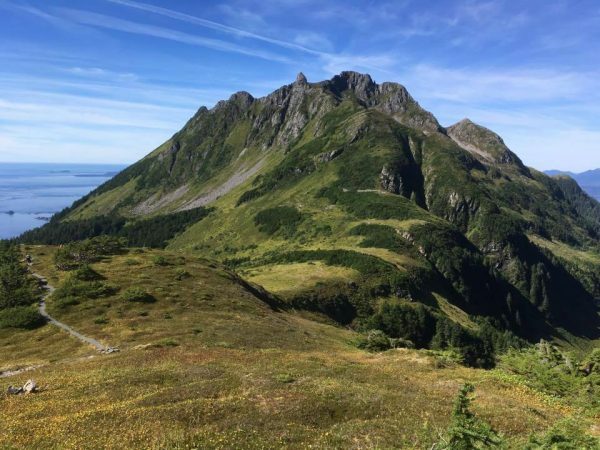 The Sitka Fire Department search and rescue team, on Saturday, aided a 13-year-old boy who became stuck after sliding down a steep, snowy slope on Harbor Mountain. Fire chief Dave Miller said the three teenage boys were near the Gavan Hill shelter cabin on Saturday afternoon, when the one juvenile fell. Miller said one of the boys called 911 on a cell phone to report a member of their party had fallen around 5 p.m. and Search and Rescue assembled a team to respond. Miller said the rescue didn’t require rappelling, but it did require ropes. “They threw a rope over and went down and brought the young man up,” he said. They hiked the boy to safety just before 11 p.m. Miller says the three made the right decision to call quickly. Miller says 25 people aided in the response, including the ropes team and responders handling logistics on the ground.